What is a nucleated Beer Can glass? 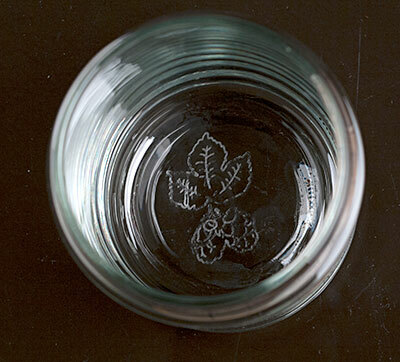 It is a 16 ounce beer glass shaped like a beer can with a delicate pattern of pits in the bottom that form a point to break C02 out of solution. Without nucleation, a head cannot last for more than 3 or 4 minutes. 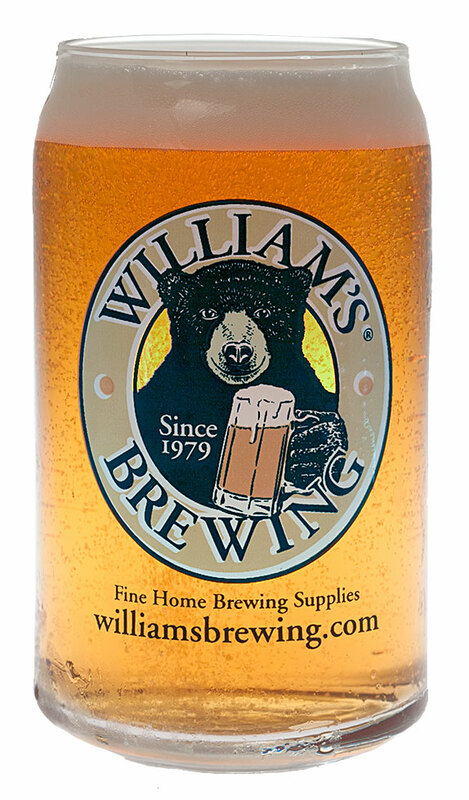 Our William’s Beer Can Glass features a nucleated hop cone pattern etched on its bottom, which keep a steady stream of bubbles rising to the surface from the center of the glass, preserving head. This glass has a tapered top, which helps concentrate hop aromas and protect the head. Made in U.S.A. by Libbey. The nucleated bottom helps raise a good head. The new style with slightly heavier glass feels firm in your hand. The colored decal shows off the Brewing Bear. You and your friends will enjoy this glass. from Richwood Great glasses and excellent heads! I bought four of these mostly for the look and shape. However, once I pour my first home brew in one, it kept a killer head and the bear paw at the bottom gave bubbles something to cling to to keep head nice and fresh. The cups are awesome, but do leave a little too much room for a 12oz beer. I drink all of my home brews out of my William's cups! Buy some, they are great! I have always prefered to use tall, skinny glasses for my Pilsners and Lagers; I want all to see the color and the head, and very importantly, fill the nose before wetting the mouth. So I had my doubts about this glass, but am glad I tried it. I will now get a set -- or two! The beer can shape is excellent for viewing and quaffing, and much less likely to break than tall ones I use. And the nucleation spot works well, too. Will the nucleated can glass fit in a Yeti colster? Good question, we have not tried this yet. The Nucleated Beer Cans are 3 and 7/8" in diameter.